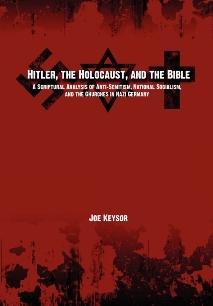 ACM intern Abby put together this video on behalf of Joseph Keysor’s “Hitler, the Holocaust, and the Bible” that effectively shuts down the argument that Hitler was a Christian by a simple little piece of logic. Before Tiller was shot dead in his ELCA church, the last time an abortionist was shot was more than 10 years ago. [Source] Since Roe vs Wade was passed 8 total (including Tiller) have been killed and 17 ‘targetted’ (whatever that means). [Source].